Deciding whether to purchase a new system or improve the performance of an existing one can be difficult. Can upgrading from a HDD to an SSD make enough of a difference or will a new system with a HDD offer a better solution? 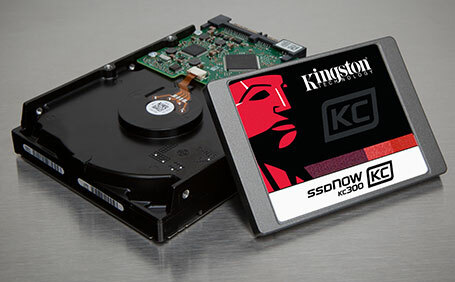 SSD technology offers many advantages over traditional hard drives; no moving parts make solid-state drives more rugged and resistant to shock and vibration. But increased performance with superior sequential and random speeds is the biggest benefit of SSD technology. This study tested the effects of upgrading an older system with an SSD vs. a new system with the latest technology that uses a hard drive. Boot times were tested as was the time required to open 50 files spanning multiple applications and the time it took to complete a full system scan of more than 300,000 files using Microsoft Security Essentials. 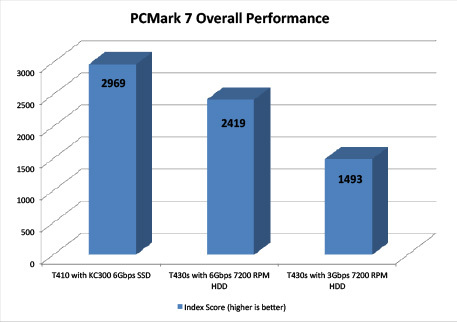 Also included was the PCMark 7 Comprehensive test, used to compare the total performance of the systems. The SSD-based system in this study showed reduced boot times; the older system that was upgraded with the SSD booted to desktop and launched applications in less than half the time as the system with a hard drive. The security system scan took only 11 minutes with the SSD system vs. 27 minutes with the hard drive system. In the PCMark 7 benchmark, the SSD-based system outperformed the newer HDD-based system by an impressive 36%.